Known for manufacturing, trading, supplying and providing services of a wide range of optimum quality Capsule Filling Machine & Spare Parts, Pharmafill Technologies, Mumbai was established in the year 2009. Our machine range comprises of a wide range of high quality Auto Polishing Machines, Automatic Capsule Filling Machines and Semi-Automatic Capsule Filling Machines. Precisely designed as per the industry set standards, these machines are known for their hassle free installation, impeccable finish, robust design, automated operation and low maintenance. 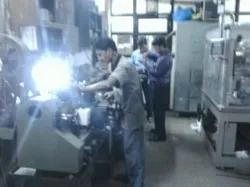 As per the specifications provided by our valuable customers, these machines can be custom designed. The offered capsule filling machines find wide applications in various pharmaceuticals industries. Our company has been backed by a sound infrastructure since our inception. To ensure stream-lined operations, we have divided our infrastructure into various divisions. The manufacturing unit has all the required machinery necessary for standardized operations. The highly experienced professionals, who can effectively operate the advanced machinery that are installed in our manufacturing unit, are hired by our team of human resource professionals. As per the requirements, this machinery is regularly upgraded in accordance with the latest technology. For accurate loading and unloading operations, our warehouse centers are equipped with the latest conveyer tools and equipment. We were established as a proprietorship firm and are currently operating under the expert guidance of our proprietor Mr. Kishor S. Gavas. Due to his excellent management skills and innovative business ideas, we have gained a commendable position in the market. 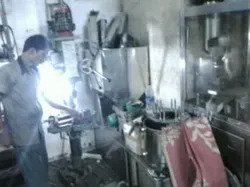 Our organization has been able to manufacture, supply and trade a wide range of high quality capsule filling machines due to the sincere efforts of our team of different professionals. Our team of hard working and competent professionals works in coordination with each other and the customers as well. Our company believes in conducting various technical trainings through seminars and workshops on different aspects of the industry to keep professionals updated as per the changing market needs. Our company has one of the world class and sound infrastructures in this domain. To ensure stream-line and timely production, we have divided our ultra-modernized infrastructure into different departments. Different department of infrastructure are manufacturing, warehousing & packaging, research and development, in-house quality testing and sale & marketing. High quality conveying systems are installed in our warehouse unit to facilitate the effective loading and unloading operations. Ours is a client-friendly organization because of which we serve our clients with a commendable array of Auto Polishing Machine and Semi-Automatic Capsule Filling Machine, Automatic Capsule Loader. Facilitated by our team of diligent and skilled experts, we borrow high grade raw material from trusted and the most reliable sources of the market in order to prepare these products. In addition, we also maintain industrial norms in the our manufacturing process in order to ensure their flawlessness. Further, all our delivered products are quality-approved and are tested on several well-defined quality standards. Our custom centric approaches and ethical business practices have helped our company to attained remarkable position in this domain. To achieve maximum customer satisfaction, our team of logistic professionals assures delivery of these capsule filling machines within fixed time frame at the customer’s end. The team of quality controllers keeps strict supervision over the entire manufacturing processes to ensure a defect free range. We offer customized solution to our valuable customers, keeping in mind their convenience. We have touched the hearts of our customers by providing them high quality capsule filling machines. Equipped with cutting-edge machines, our company has been able to manufacture capsule filling machines in bulk quantity. Due to their rich attributes such as fully and semi automated operation, robust construction, corrosion resistant, hassle free installation, minimum maintenance, impeccable finish and low power consumption, these capsule filling machines are highly demanded in the market.